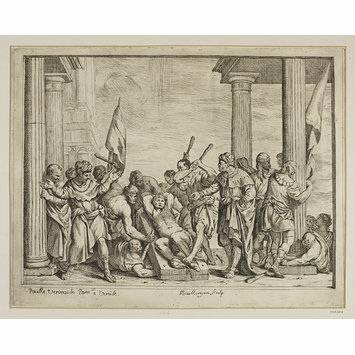 Martyrdom of St. Paul; From the picture by Paolo Veronese in the Church of Notre Dame at Paris; Print on paper; Inscribed 'Paulle Veronaise Peimcit a Venise. L. Boullongue sculp'. 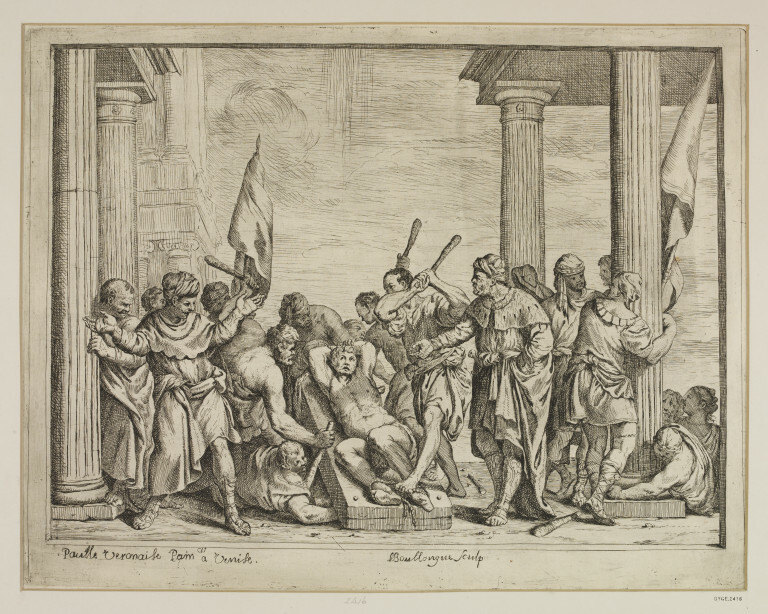 Martyrdom of St. Paul; From the picture by Paolo Veronese in the Church of Notre Dame at Paris; Print on paper; By Louis Boullogne (the elder); French School; Mid 17th century. 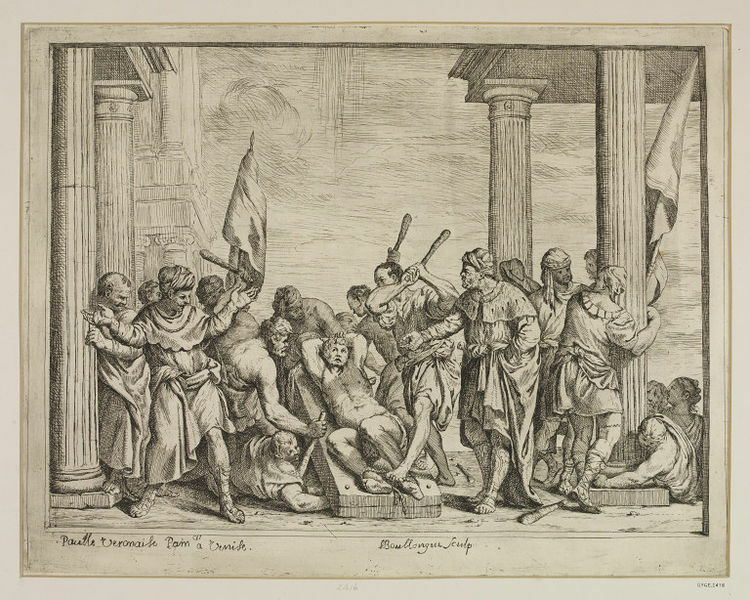 From the picture by Paolo Veronese in the Church of Notre Dame at Paris.